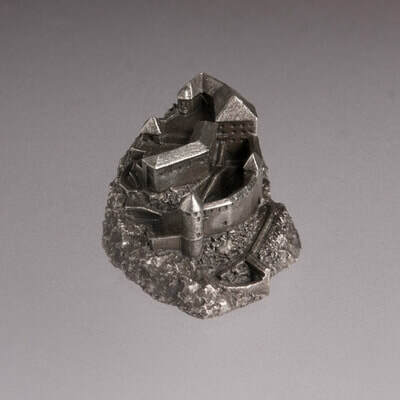 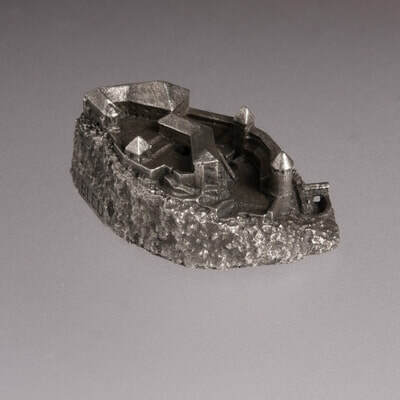 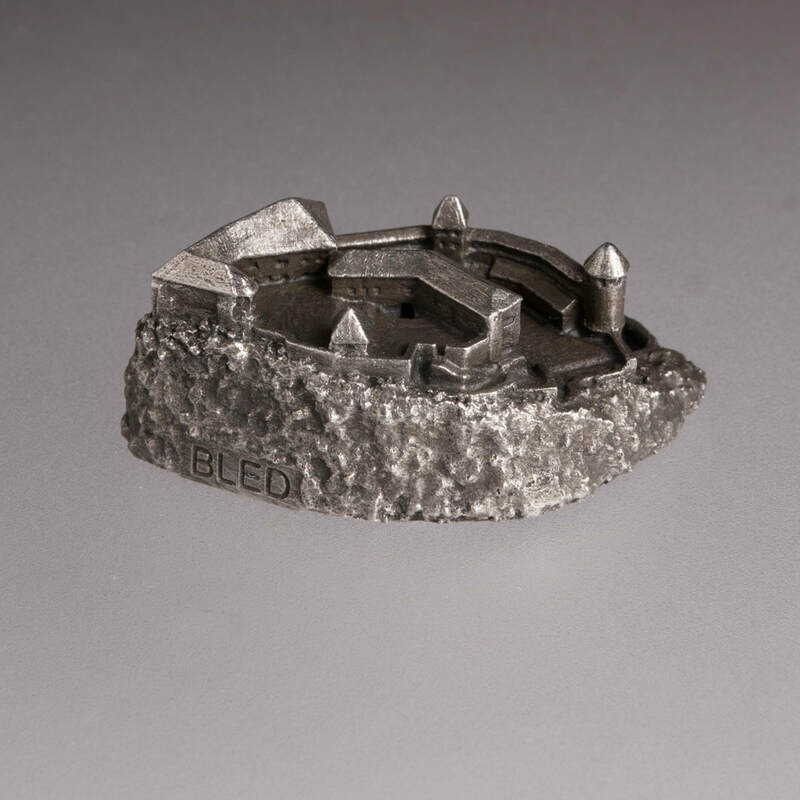 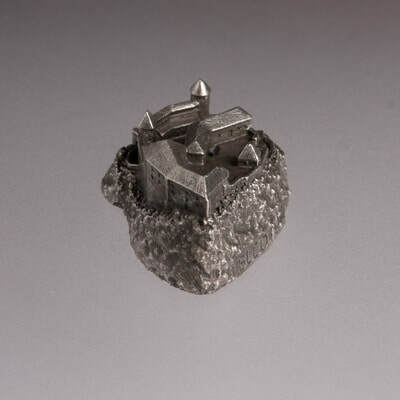 This model presents castle Bled – the oldest, most famous and most visited Slovenian castle – in Archiminima series of metal 1:2000 scale architectural landmark replicas. 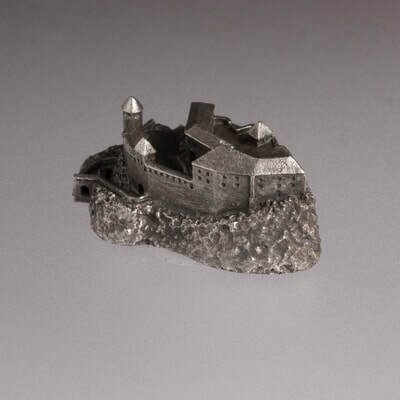 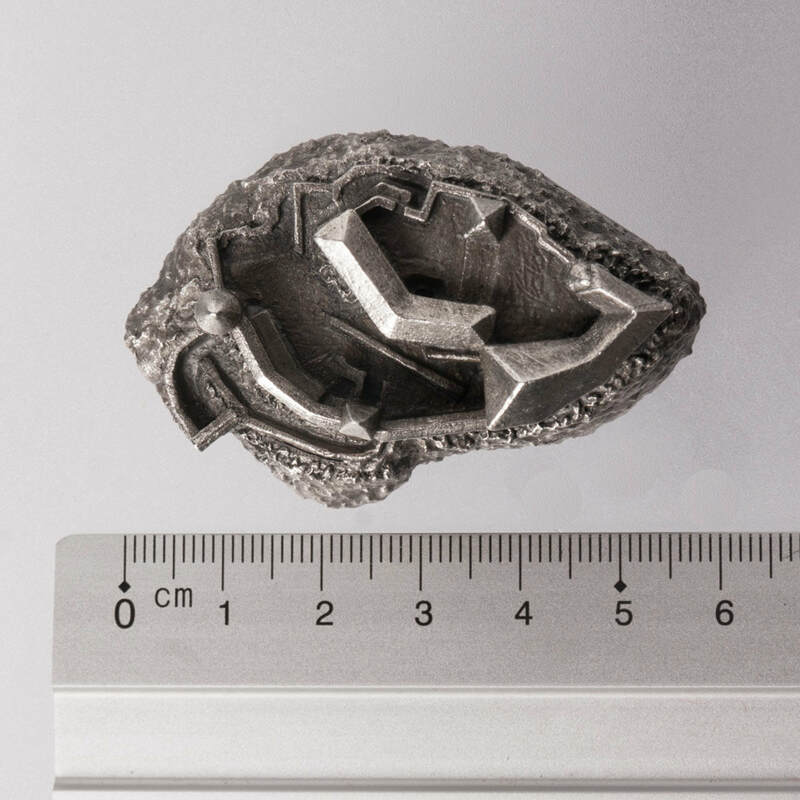 It is made of lead free pewter and toned in the shade of old silver. 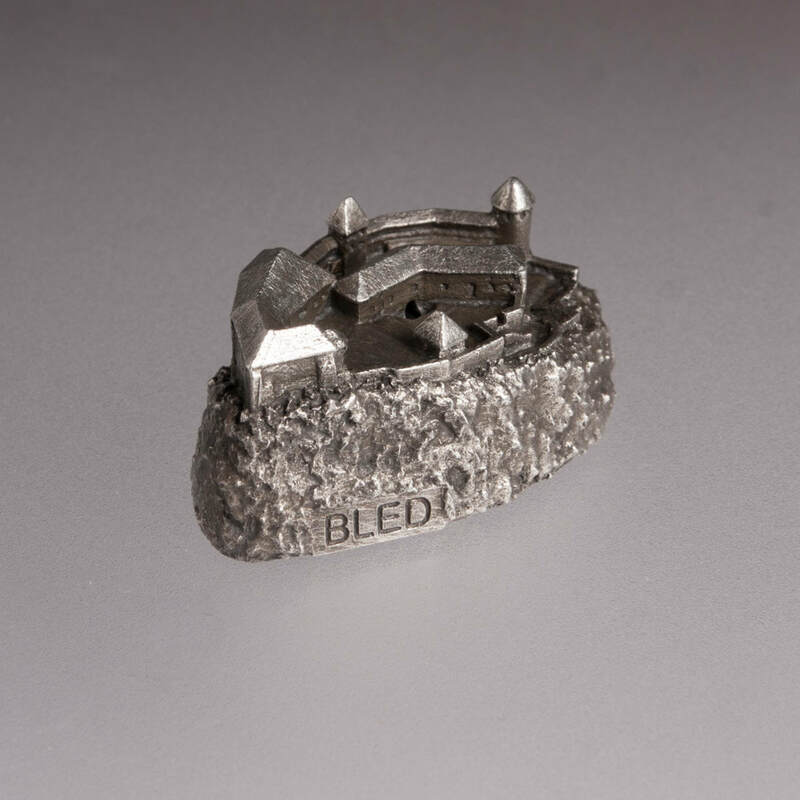 Overlooking the picturesque Alpine lake Bled, the castle was built on the top of a mighty precipice and was granted to the Bishops of Brixen by Emperor Henry II in 1011. 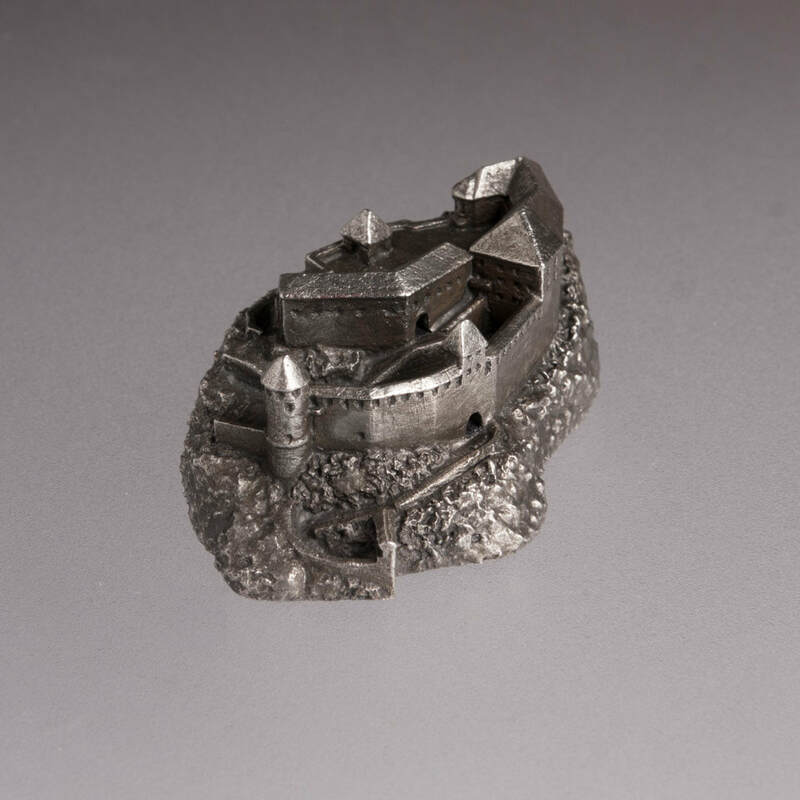 The castle was rebuilt and enlarged by the 17th century, becoming a powerful fortress with two courtyards, high walls with towers and a drawbridge over a moat. A history exposition in the castle is now part of Narodni Musej Slovenije. 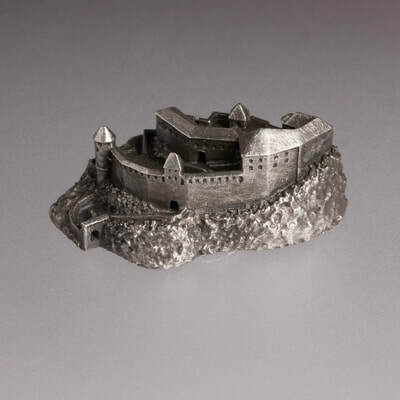 This replica will make a perfect gift, home decoration miniature, historical architecture souvenir or a 1:2000 scale collectible item.